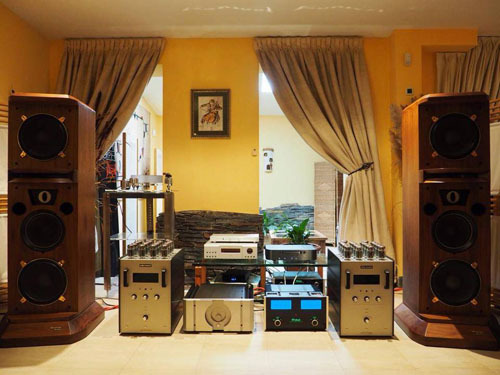 Since 1971, Westlake Audio designs and builds loudspeakers that are as accurate to the source recording as currently possible given the existing level of technology. Our research methods include painstakingly improving this technology for future generations of loudspeakers. Our responsibility to the customer is to provide products that not only meet our design goals for performance but also achieve a level of reliability that will ensure the enjoyment of our loudspeakers for years to come. Use the menu on your left to explore the world class quality of Westlake Audio Loudspeaker systems and accessories. The new Tower 5 wins a Jimmy Award at CES 2013! The LC265.1vf and LC265.1f speakers definitely deserve an Everything Audio Network Stellar Sound Award ! 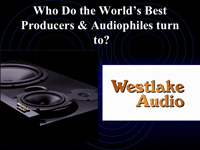 Westlake Audio Model Lc265.1V was a great success at CES 2012! Everything Audio Network says Westlake's Lc4.75 Mini Monitor system is "Ideal For Any Listening Niche"
Glenn Phoenix, President of Westlake Audio, shows Jason Serinus of Stereophile Magazine the "Cable Muff" cable support and organizer system. 21 Hifi.com awards the Westlake Tower SM-1 Speaker of the Year. 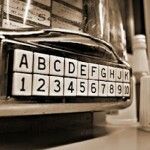 Check Out Whats on Glenn Phoenix's Jukebox!